The Mission of the Menominee Tribal Clinic is to provide quality, accessible, and comprehensive health services. Menominee Department of Transit Services (MDOTS) manages and provides direct transportation services. Environmental Services Website is to keep the tribal public informed about what they do and why they do it. The Menominee Chamber of Commerce, Inc. is dedicated to promoting our members’ businesses, tourism, and assisting with their economic growth. 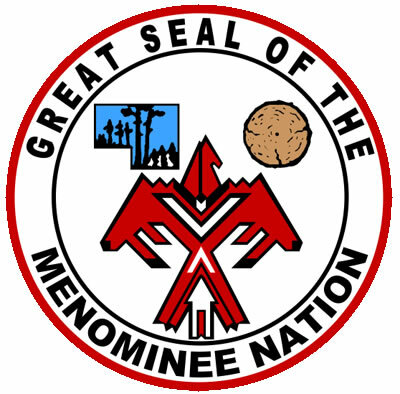 The Menominee Tribal Courts is a court of general jurisdiction with appellate review operating under the authority of the Menominee Tribal Constitution and By-laws as a separate and equal branch of the Tribal Government. The Menominee Tribal Courts provide judicial services to the Menominee Indian Reservation. The Menominee Tribal Elections website has the intention of keeping the public informed about upcoming elections. The men and women of the Menominee Tribal Police Department are dedicated to enhancing the relationship between law enforcement and community members in order to build trust, reduce crime, build a proactive patrol, and create a safe community for current and future generations. The Shawano Country Chamber of Commerce is a not-for-profit membership-based organization that advocates for, and works with, our member businesses. The primary reason that we exist is to do what is necessary to keep Shawano Country's businesses healthy, thus ensuring economic, civic and cultural well-being.